By Kyra Haas, Manuela Tobias, Miriam Valverde on Wednesday, September 26th, 2018 at 2:06 p.m.
Christine Blasey Ford will testify before the Senate Judiciary Committee on Sept. 27, 2018. As Christine Blasey Ford prepares to testify before the Senate Judiciary Committee, Ford's authenticity is under attack across social media. Ford, a California psychology professor, accused President Donald Trump’s Supreme Court nominee, Brett Kavanaugh, of sexually assaulting her at a party while the two were in high school in 1982. Kavanaugh has denied the allegation. Internet rumors casting doubt on her motivation have spread like wildfire. 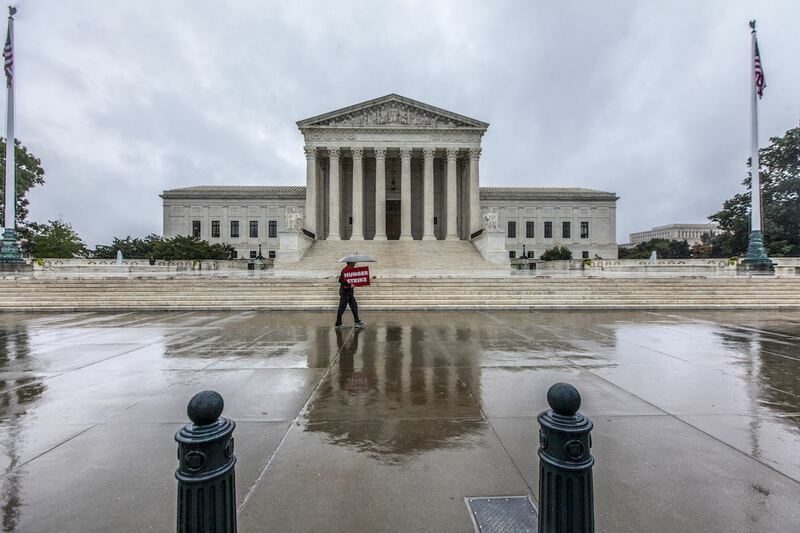 Some said she has a longstanding grudge against Kavanaugh for a foreclosure ruling. Others said she has monetary interests in protecting abortion rights. Most of it is baloney. 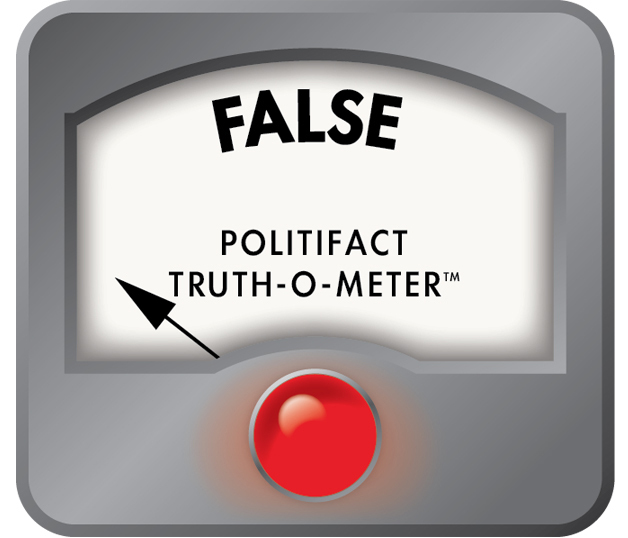 Here’s a rundown of the most prominent claims about Ford on the internet, fact-checked. Claim: "Kavanaugh accuser Christine Blasey exposed for ties to Big Pharma abortion pill maker… effort to derail Kavanaugh is plot to protect abortion industry profits." Abortion rights advocates worry that Kavanaugh would reverse Roe vs. Wade, the Supreme Court case that legalized abortion. Several websites suggested that Ford went after Kavanaugh because of a special interest in protecting abortion-inducing drugs. 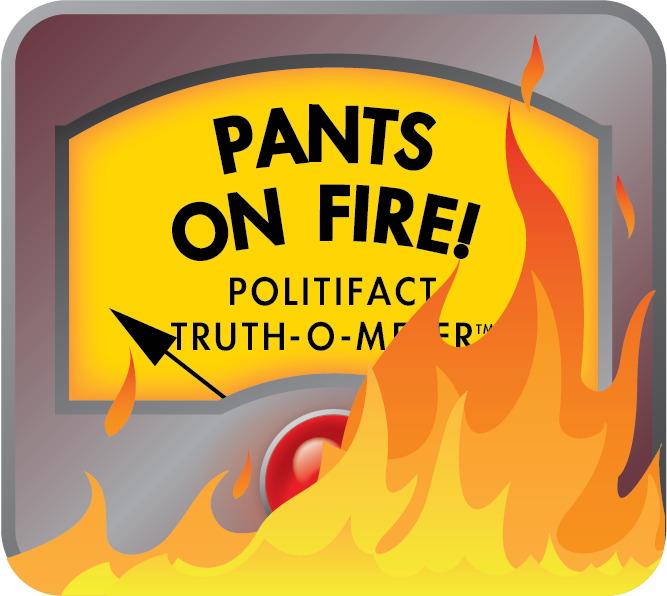 We rated that claim Pants on Fire. Ford worked as director of biostatistics for Corcept Therapeutics, a California pharmaceutical startup, that sells Korlym, a drug that treats Cushing’s syndrome. Saying they sold the abortion pill is like saying a road salt company sells food seasoning. The main ingredient in Korlym can be used in combination with another drug to induce abortions. But it is not administered alone to induce abortions. Corcept requires that doctors rule out pregnancy in order to administer the drug. Claim: Brett Kavanaugh’s mother presided over foreclosure case against Christine Blasey Ford’s parents, which motivated the sexual assault accusation. Several blogs claimed that Ford went after Kavanaugh for a 22-year-old foreclosure ruling in which his mother was the judge and her parents were the defendants. We found the case in question; Brett Kavanaugh’s mother, Martha Kavanaugh, did preside over a foreclosure case in 1996 in which Ford’s parents were defendants. However, according to the same documents, Martha Kavanaugh dismissed the case at the plaintiff’s request. CBS News found the Blaseys settled with their mortgage lender, and the bank requested Martha Kavanaugh dismiss the case. She did. The Blaseys never appeared in her courtroom or lost their home, and Kavanaugh’s mother had no effect on the outcome. Says Brett Kavanaugh’s mother presided over foreclosure case against Christine Blasey Ford’s parents, which fueled motivation for sexual assault accusation. Claim: Kavanaugh accuser’s brother’s firm linked to Fusion GPS. "Ford has a brother, Ralph Blasey, who worked for BakerHostetler, a law firm that retained Fusion GPS, the infamous DC company that produced the unverified Steele dossier on President Donald Trump and Russia, sparking the Russia investigation," a Liberty News press release reads. We rated that Pants on Fire. Ralph Blasey indeed worked at BakerHostetler. But he left nine years before the law firm hired Fusion GPS, a consulting firm, to assist with a Russian money-laundering investigation. In 2015, Fusion GPS subcontracted with Christopher Steele, a British intelligence officer to produce the Russian dossier. Fusion GPS has said the two cases were unrelated. "Kavanaugh accuser’s brother’s firm linked to Fusion GPS." Claim: Ford also accused Justice Neil Gorsuch of sexual assault during his nomination process. Twitter user Josh Cornett tweeted: "According to sources Diane [sic] Feinstein’s reluctance to mention the Kavanaugh accuser’s letter during confirmation session is because the accuser sent a similiar [sic] letter directed at Judge Gorsuch last year." There is no evidence of any such accusation leveled against Gorsuch. Cornett later tweeted he had "no idea" if that was true, but claimed "my source has been very accurate in the past." The user has frequently tweeted messages that spread conspiracy theories like QAnon. Ford also accused Justice Neil Gorsuch of sexual assault during his nomination process. Claim: "Christine Ford’s students ravage her in reviews." Several blogs claimed Ford’s university students had ravaged her in reviews, calling her "mad" and "troubled". This was a case of mistaken identity. Bloggers had pulled reviews for the wrong Christine Ford; the reviews linked back to Christine Adams Ford, a professor of human services at California State University, Fullerton. Christine Blasey Ford teaches psychology and statistics at Palo Alto University. "Christine Ford’s students ravage her in reviews." Claim: Says Christine Blasey Ford and her lawyer were photographed with George Soros, Hillary Clinton. A Facebook post attempts to discredit Ford by linking her to prominent Democrats. It purports to show Ford's lawyer with Clinton and Ford with Soros. Neither Ford nor her lawyer appear in either photo; they show Clinton's photographer, Barbara Kinney, and Lyudmyla Kozlovska, a Ukrainian human rights activist. We rated this claim Pants on Fire. Claim: "Kavanaugh accuser’s husband breaks his silence, exposes ‘sick issue’ his wife has." This headline on virginiapress31.site distorts comments made by Christine Blasey Ford’s husband. We rated it False. The story accurately quotes Russell Ford’s comments to the Washington Post about his wife not getting the attention or respect she felt she deserved growing up. However, Russell Ford did not make those comments in efforts to expose a "sick issue" about his wife. That’s a conclusion the website makes. Russell Ford’s comments in the Washington Post story are in the context of how they met and built a relationship. Christine Blasey Ford grew up on the east coast and now lives in California, where she is a professor. "She didn’t always get along with her parents because of differing political views," Russell Ford told the Washington Post. "It was a very male-dominated environment. Everyone was interested in what’s going on with the men, and the women are sidelined, and she didn’t get the attention or respect she felt she deserved. That’s why she was in California, to get away from the D.C. scene."